The era of packaged creative software is officially over as Adobe has released the latest version of its suite to Creative Cloud customers. Doing away with the CS numbering system we've become accustomed to for six versions, all new editions are currently labeled as CC. Although the company promises to continually update all tools in the suite, it will be interesting to see how long the CC name will survive without some modifier to indicate its "freshness." Adobe caused quite a bit of controversy when this suite was announced a couple of months back. From now on, the latest versions of their software will only be available via the $50 per month suite subscription ($30 for year one) or the $20 individual app subscription. If you insist on buying a retail copy, you'll have to stick with CS6. I've never understood the consternation because the suite's pricing and flexible two machine activation model is pretty generous vs. the old model. The last time I looked, the Master Collection cost about $2500 and Photoshop CS6 cost about $600. You'll have to subscribe for about three years to spend that much and you won't be paying annual upgrade fees. Adobe reports that its customer uptake of the subscription plan exceeded all expectations and it will be interesting to see if their success continues now that first year customers will be paying an additional $240 annually. If Adobe's good fortune continues, we can only hope that Autodesk will take notice and lower the price of its Entertainment Creation Suite Ultimate, which currently retails for $8395 and costs approximately $1200 annually to maintain. We'll be downloading and testing Photoshop and Illustrator CC on the Surface Pro and report back our findings soon. 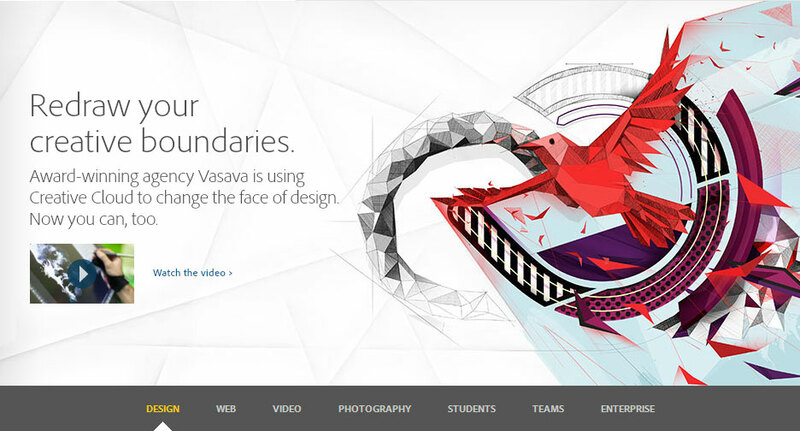 Go here to learn more about Adobe Creative Cloud.